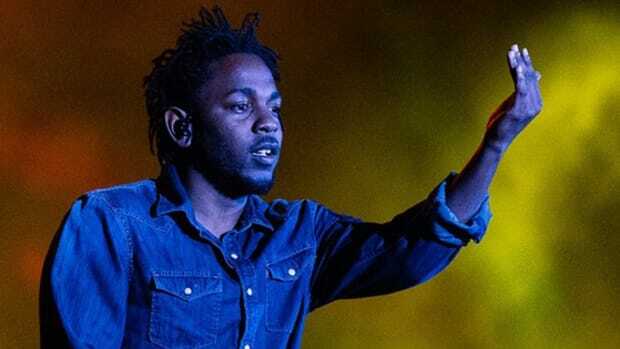 I thought putting together a list of all the people who worked on Kendrick Lamar&apos;s To Pimp A Butterfly would satiate my obsession for knowing the nitty-gritty, the behind the scenes goings on that really makes an album like TPAB what it is, but it really only left me with more questions. There is only so much information you can get from stalking church ministers on Facebook (yes, I did that), so to really get into the construction of the album, I needed to talk to someone who was there, someone who is all over the album. Enter Josef Leimberg, who is credited as a songwriter or performer on "Wesley&apos;s Theory," "How Much A Dollar Cost," and "You Ain&apos;t Gotta Lie (Momma Said)." Of all the people I researched, he was the only one who had a phone number available on Twitter. I talked to him briefly when I first created the credit piece, but ever since that first conversation there was a lingering question that&apos;d been eating me up, something I have been dying to know. Who in the hell is LoveDragon?! For those who may not be as obsessed, let&apos;s recap. LoveDragon is a producer with the credit&apos;s on "How Much A Dollar Cost" and "You Ain&apos;t Gotta Lie (Momma Said)." Older credits include SZA&apos;s "Sobriety," but that&apos;s seemingly it. How could someone with one previous credit produce two songs on one of the biggest albums of the past few years? Thundercat and Flying Lotus are household names, but LoveDragon? I wasn&apos;t the only one who was wondering. Everyone from Rob Markman at MTV to Power 106, to XXL, wanted to know, but nobody was talking. There were theories it was Dr. Dre and some even thought that it was D&apos;Angelo because "LoveDragon" is almost an anagram for "D&apos;Angelo". Do you know who LoveDragon is? There&apos;s theories it&apos;s Dre, there&apos;s D&apos;Angelo theories, there&apos;s even theories that you&apos;re LoveDragon. Who is LoveDragon? "Well, I&apos;m gonna tell you like this. It&apos;s definitely not Dr. Dre. It&apos;s definitely not D&apos;Angelo. That&apos;s what I can tell you... I think it&apos;s fair to say, if you read the credits you can kind of put it together in your mind." Well, I&apos;ve put it together and I think it&apos;s you and maybe Terrace. "If that&apos;s what you say [laughs]... I will tell you this. Since the album dropped, I&apos;ve had Punch and SZA up in my studio cutting records. SZA&apos;s amazing. I&apos;ve just been trying to make sure these new relationships are nurtured. I&apos;ve been getting a lot of good feedback from people, not only on the production, but the horn work and even the vocals." "Yeah I thought that was interesting too." It was mildly infuriating to come that close to a firm confirmation and not get it. Leimberg seemingly couldn&apos;t come right out and say it and based on interviews Kendrick and TDE also seem insistent on officially keeping LoveDragon&apos;s identity hidden for reasons I can&apos;t fathom yet. But as someone who did the research, someone who read the credits, someone who actually picked up a phone and talked to Josef in person, I&apos;m willing to bet my rent money that Josef and Terrace are in fact LoveDragon. Why the mystery? Why can&apos;t he confirm? I don&apos;t know. Josef wouldn&apos;t elaborate or give me anything concrete, no matter how many Edible Arrangements I promised him. In due time, I expect we will find out more, I&apos;m expecting more work with SZA, but for now, it&apos;s officially unofficial; Josef Leimberg and Terrace Martin are LoveDragon. And now that I had finished dealing with the Love Dragon thing (kind of), there was still a gold mine of information about the making of To Pimp a Butterfly that Leimberg, as Josef Leimberg, could openly supply. His voice may be thunderous and intimidating, but on the phone, he couldn&apos;t have been more genuine and more excited to simply talk about dope music. 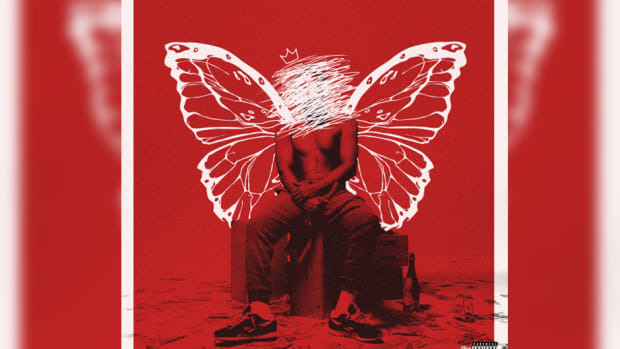 While To Pimp A Butterfly is his latest work, it certainly isn&apos;t his first project. A producer and horn player, the California native has been making music since Kendrick was in diapers. 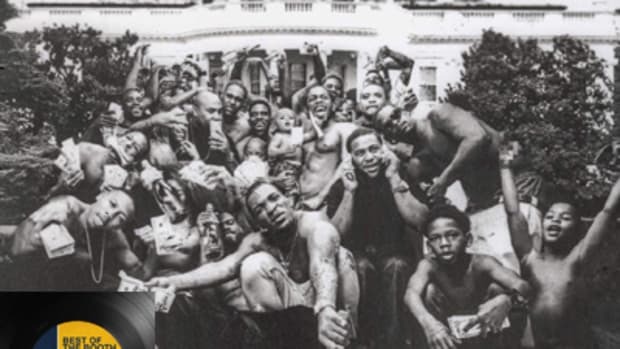 Back when K. Dot was just five-years-old, Leimberg was already involved in hip-hop as a part of the group Mad Kap. "I was in Mad Kap. I played the horn and busted a couple of rhymes back in the early 90&apos;s. You know, I don&apos;t even think Kendrick knows about Mad Kap," he said. Mad Kap was just the beginning for Leimberg, he also has production credits with Snoop and Murs, as well as a horn credit on K.R.I.T&apos;s "Angels. "To Pimp a Butterfly may not be his first rodeo, but it certainly is a highlight for him. So I started digging in. 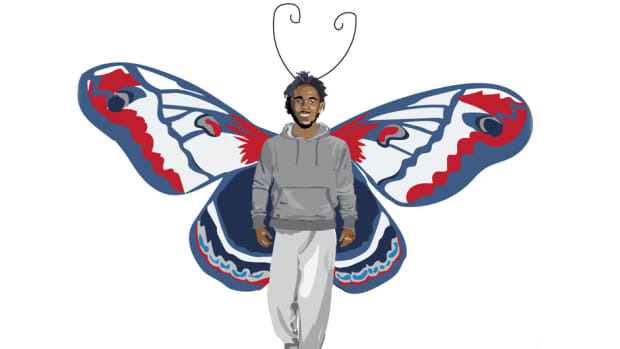 Where does your work on To Pimp a Butterfly rank in terms of projects in your career? "I would say it&apos;s pretty up there. I&apos;m not even talking album sales or anything. Just to be a part of a project that was a risk taker. Being a part of it verifies the work that I&apos;ve been doing. I&apos;m a lab rat. I&apos;m in the studio a lot. I&apos;m definitely not a cookie cutter, I don&apos;t bang out ten beats a day and hit chase. I do music that I love to make, music that sounds good to me and makes me feel good." Though he can rap (see Mad Kap), normally Leimberg is behind the boards or behind the horn, but on "Wesley&apos;s Theory" he was also featured vocally. That intro, that powerful, growling voice, the one everyone thinks is George Clinton, that&apos;s Josef. It was instantaneous. 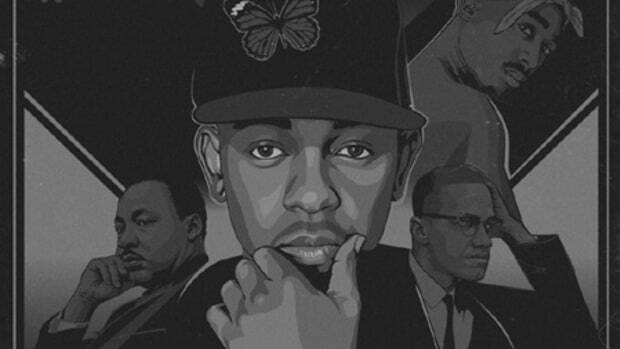 As soon as Kendrick heard him speak, he knew there was something special. A few weeks ago, we talked a little about your vocal feature on &apos;Wesley&apos;s Theory.&apos; I&apos;d love to get the whole story. How did that come about? "When he heard my voice, he turned around and said "I need that on my album." I thought he was bullshitting until the homie Terrace called me and said, &apos;Kendrick said have your horn guy come back.&apos; He didn&apos;t even know my name. So when Dre came up to do a vocal piece on the song he asked Kendrick who that was on the intro, he said, "That&apos;s LA Joe." He didn&apos;t know my name was Josef Leimberg or the history of what I&apos;ve done in the early &apos;90s. He just heard my voice and he wanted that on his album. 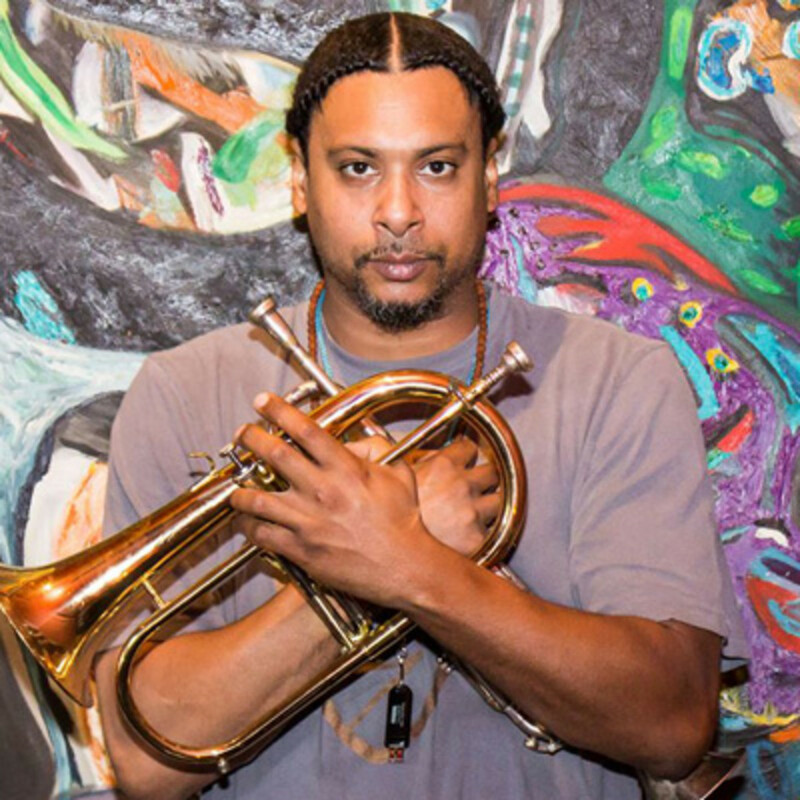 "It&apos;s a trip because it wasn&apos;t until weeks or maybe even months later, after I did some horn work and some other little things, that he remembered. He sent for me. That guy really is sharp. To remember that guy with the deep voice and to have him come back in it caught me off guard. When I recorded it, he was there. He wrote it right in front of me on his phone and he handed me his phone and I wrote it down on a piece of paper. He could have just texted me, I don&apos;t know why I didn&apos;t think of that, but I wrote it down and went in the booth and he coached me exactly how to say it. He had a vision on what he wanted me to say." Was he there when you recorded the horn sections? "I played on a lot of songs, so he was in and out. It was more Terrace Martin. He was the band leader, the section leader when it came to horns. Terrace would listen to the songs, he&apos;d look at me, come up with some melodies and we&apos;d go into the booth. Some of the melodies were already there in the music, meaning he heard the melodies around some other stuff that was already going on in the music." When did you find out your sections were on the album? "Honestly, instinctively I knew we were doing some good stuff, so I kind of knew it would stick. Now, because I played on so many songs, I figured they weren&apos;t going to keep everything. You never really know but seems like every song that I participated on made it on the album." Did you find out officially when the album leaked? "I was asleep and my girlfriend, she gets up early, and she woke me up early screamin,g "Babe, Kendrick Lamar brought the funk back!" She&apos;s screaming on the phone and I got up and started listening to the album and I&apos;m like, &apos;I remember that night, I remember that session, I remember that day. Oh wow.&apos; Once you hear it all pieced together as a project, as a piece of art that&apos;s complete, it all made sense. Of course I have a memory of every moment and every session." Is there a a session that stands out? "The one that really stuck was "How Much A Dollar Cost" because originally we didn&apos;t know if that song was going to make it on there because they kept trying different things with the chorus. When I first heard it, Bilal was singing the chorus. The second time I heard it, Ronald Isley was singing the hook, which they kept at then end. There was even a point where Lalah Hathaway was on the hook, but it was too jazzy. I was there, really trying to push the song through...me and Terrace. And he called James Fauntleroy and he came in and put the hook down. I added some muted trumpet, Terrace added a little bridge with the keys and a little vocoder on there and it all came together. I remember getting a text from Terrace shortly after that said, &apos;Kendrick loves it.&apos; I was like, &apos;Cool!&apos;"
So was Terrace the one calling the shots? "Of course he had Sounwave, every time I was there Sounwave was on point, but Terrace was always there. I think he had a big say. 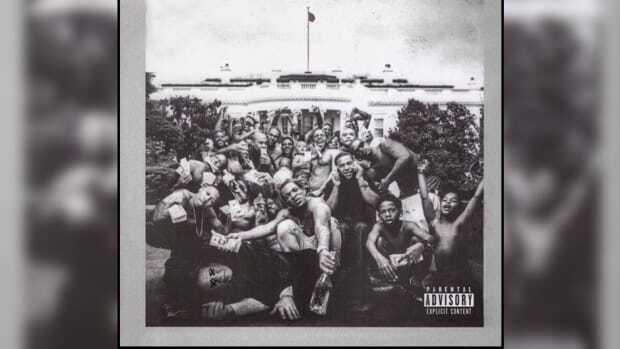 As well as Kendrick. It seems to me Kendrick really knew exactly what he wanted. I don&apos;t know if it was the same with some of the other tunes but that one in particular, when I first heard it, I was like, you know...I didn&apos;t really get to soak it all the way in. He&apos;s talking to a homeless man, it&apos;s kind of weird. I&apos;m like, "What&apos;s gong on with this song?" But Terrace told me he really loves it. I think that&apos;s why we put so many ideas on it and at the end of the day James Fauntleroy was kept as the chorus and they kept Isley on the end which I thought was interesting. just the whole process of what it took to get it to where Kendrick liked it. It was very interesting." While I could listen to stories about studio sessions all day (and the Love Dragon thing was still bothering me), I was also interested in Josef&apos;s work in his own right. So I ended our conversation by asking Leimberg what else he had going on; he&apos;s certainly experiencing a later career explosion of interest in his work. "I&apos;m working on my album right now entitled, The First Shall Be Last and The Last Shall Be First. "My momma passed about three years ago and before she passed, she wanted me to put a project together. A blues album. I&apos;m a hip-hop producer, so of course there&apos;s elements of blues in there and jazz fusion too. I just had a meeting with Alpha Pop, who releases all of Flying Lotus&apos; stuff, and are about to release Kamasi Washington&apos;s album. I played some music for them, they loved it. So we&apos;re talking. I think with the success of To Pimp A Butterfly it definitely doesn&apos;t hurt. 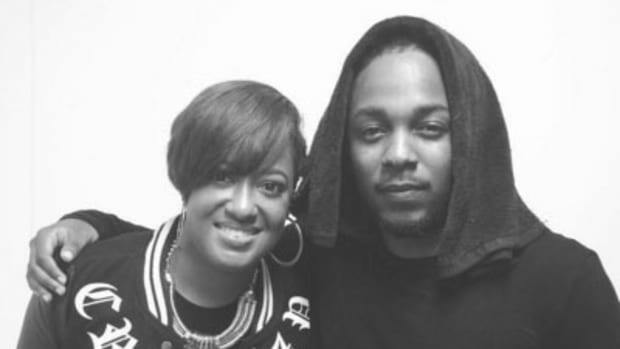 Everything is lining up and I&apos;m excited for all the new energy that Kendrick brought to the table." As more unfolds in the LoveDragon saga we will be sure to keep you posted. For now, though, I highly suggest getting to know Josef Leimberg. Regardless of hidden identities and credits, he is a talented, passionate musician and was nice enough to let me, a complete stranger, bug him with some questions. Now if you&apos;ll excuse me, I&apos;m off to listen to "You Ain&apos;t Gotta Lie" for the hundredth time.